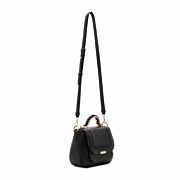 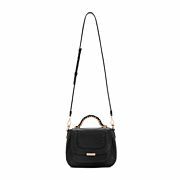 Stylish black leather shoulder bag with raffia whipstitch detail, a rose gold woven chain top handle and detachable cross body strap. 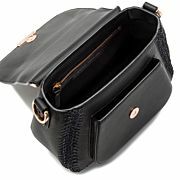 The interior features black lining and a zipped side pocket. 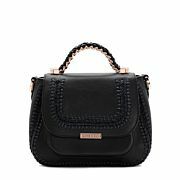 This is the perfect everyday style. 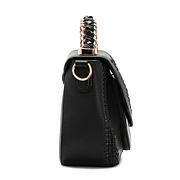 Measurements: Width 22.5cm, Height 18.5cm, Depth 10cm Adjustable Strap Minimum length 81cm to Maximum length 92cm.